Bangladesh is a country rich in culture, like most Asians regions are, which is why tourists come flowing every year. The traditional ways, the food, and the people make this place perfect for a vacation. You can go explore the mangrove forests, and if you feel brave, you can go on safari even if you are not in Africa. Tigers can be seen the Sundarbans National Park. If you feel like going on a river cruise, there are about 700 rivers in Bangladesh. The point is that Bangladesh is not a country in which you can get bored. Nevertheless, most nationalities need a visa to enter the country. There are only 23 states whose citizens can enter Bangladesh without a visa. They can stay there for a maximum of 30 days. But a month is more than enough for a vacation. Bangladesh may be a beautiful location, but very few people can spend more time than that on vacation. If you want to find out what is your own status, you can use the Visa Checker. It is located on this page, in the top right corner. You choose your nationality and select Bangladesh as your destination. It can tell you whether or not you are required to apply for a visa in just an instant. If you do need one, the page will provide information about the embassies that are nearest to you. The contact information is also available. Visas on arrival are also available for Bangladesh, but there are a few rules you must know. The possibility and fee depend on a series of factors. For example, one factor that matter is whether or not your country of origin has Bangladeshi representation. The embassy you use to submit your application can tell you more on this matter. While iVisa cannot provide assistance with the Bangladesh visa application process, we are more than happy to give you some useful information. Regarding the requirements, the first thing that you need to cross off your list is the passport. All applicants are required to have a passport that remains valid for at least another 6 months from the date of arrival in Bangladesh. So, check the expiry date of your passport before you go to a diplomatic mission. As far as the other requirements are concerned, our recommendation is that you give the diplomatic mission a phone call or check their website (if it has one). You can find a lot of information online, but not all of it is reliable. Sites do not always make the necessary updates. That is why our advice is to contact the most reliable source of information. In this case, the embassy is the one to refer to. 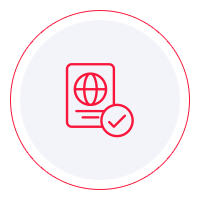 We regret that we cannot provide assistance with your Bangladesh visa application process, and we guarantee that as soon as that is possible, we will make all efforts to help you get your Bangladesh visa. Until then, we can help by providing the information you need to get started. Hopefully, you find this most useful.